When we adopted Finley almost two years ago (gosh, I can’t believe it has been that long already! ), I never thought that he would change our lives as much as he has. Finn, to put it mildly, is pretty much the center of my universe, and I’m not one bit ashamed or embarrassed to admit that. Whoever started saying that dog is man’s best friend clearly never met a crazy dog mom like myself. 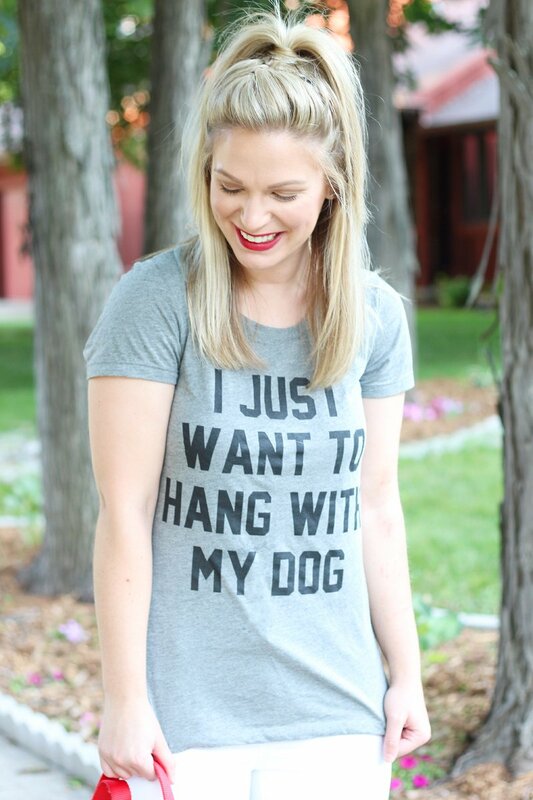 “I just want to hang with my dog” is a phrase that has been said more often than not around here, which is why this tee perfectly sums up my feelings toward Finn. 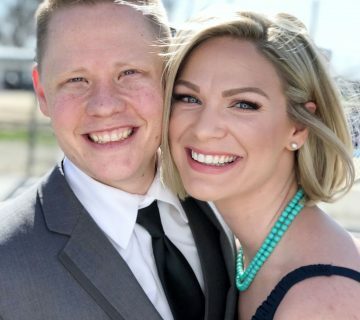 Finn came into my life at a time when I needed him most – we had just made the decision that I more than likely wasn’t going back to work in a traditional 9-to-5 office setting and as a result, I was home alone a lot and feeling a bit lonely. When Ryan and I started to have the discussion that maybe it was time for a puppy, I wasted no time. In fact, I found our sweet little man at 2 a.m. while laying in bed and scrolling through PetFinder on my iPad. I’m pretty sure that I even woke Ryan up right away that morning and said, “LOOK! 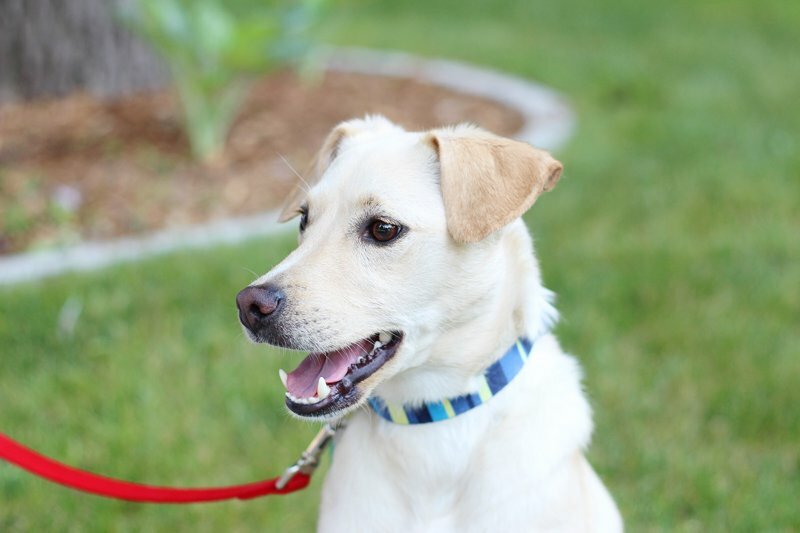 I FOUND OUR DOG!” The rest is history – we got confirmation from our then-landlord that we could have a dog in the rental house, our application was approved by the rescue group, and we brought Finn home a few weeks later. Check out this old post from the first week that we brought him home – he was so tiny! Life hasn’t been the same since – for the better, of course! The amount of comfort and happiness that Finny brings to Ryan and me is unmatched by anything else. 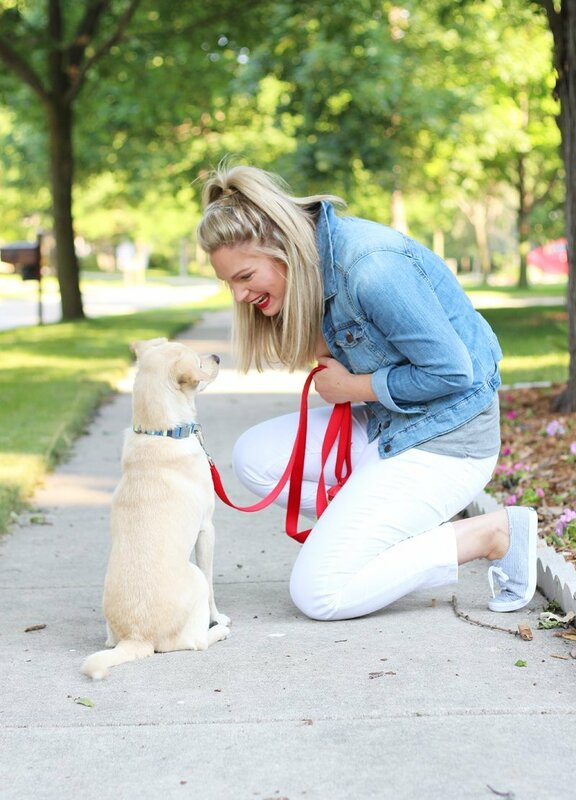 I love to have the companionship during the day – even though I sacrifice a majority of my office chair so Finn can sit and sleep on it, too – and I sincerely enjoy taking care of him. 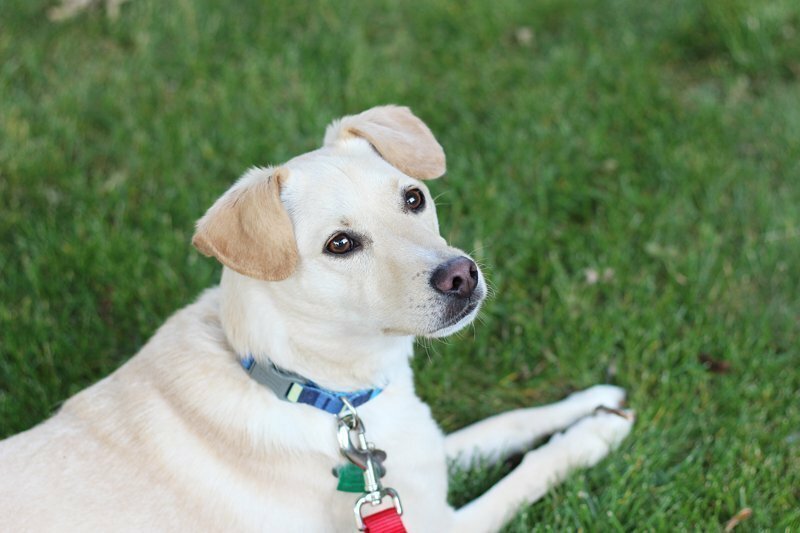 Let’s face it – Finn might as well be a human based on how I treat and spoil him everyday! Nine out of 10 photos on my phone are of him doing something ridiculous, and he’s also basically the star of my Snapchat (msinthemidwest). 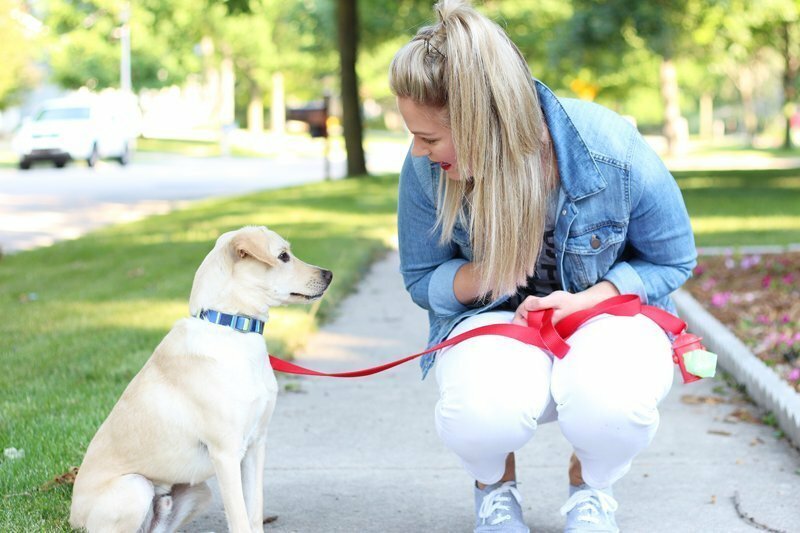 I told you – I’m a crazy dog mom and I’m not afraid to show it. But, I really see nothing wrong with that – in the grand scheme of things and time, our pets aren’t with us for that long, so we might as well soak up every single second that we have with them. So, if I just want to hang with my dog and do nothing else, then that’s a-okay in my book. 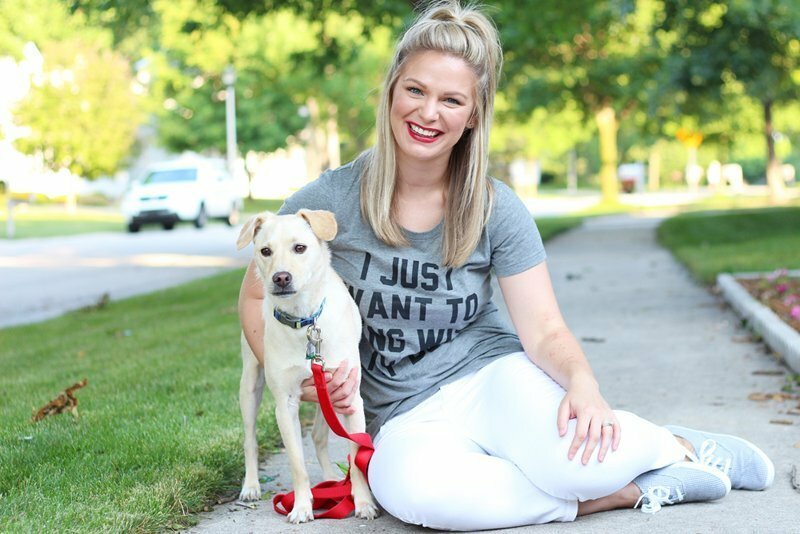 If you’re interested in your own I Just Want to Hang With My Dog tee, it is from Taylor’s – of The Day Tay, which is a blog that you need to follow if you aren’t already – Etsy shop! The shirts do run small, so I suggest sizing up one or two sizes from your normal size depending on how slouchy you want the tee – I’m wearing a large, for reference. Taylor also donates 20% of profits to local animal shelters! Always a bonus when fashion is for a good cause. Do you have any pets? Do you obsessively love on them like I do with Finn? I enjoy a red lip and matching red leash! Cute shirt! I have a cat and feel the same way…he is the best! I booked a two week vacation to NZ and AUS and promptly cried because I didn’t want to leave him that long. And I know, he’s not a dog…but dog lovers (even though ones who hate cats) LOVE him. Promise! Thank you! I think anybody with a pet – dog, cat, fish, whatever – can relate to this tee. Pets are family members no matter what anybody says! 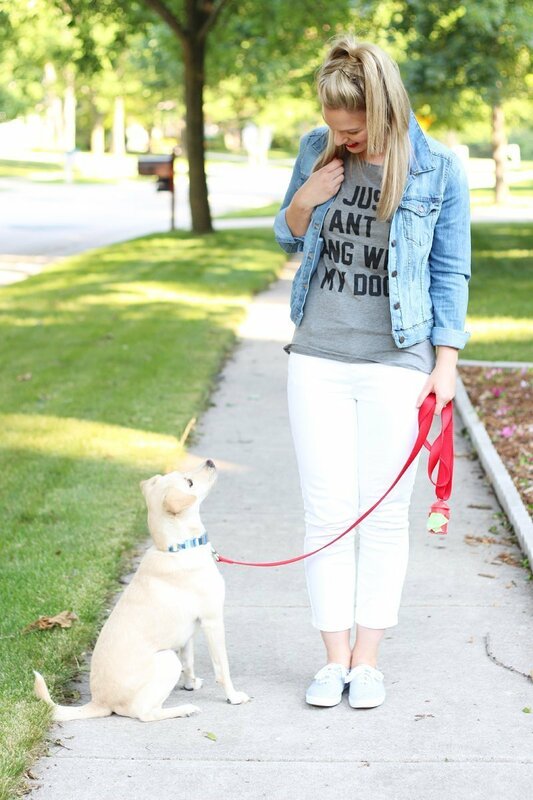 This tee is soooo cute- and Finn is such a handsome boy! My dogs are my world, too! Thanks, girl! I love seeing your pups on Snapchat! Awwwwww he is so handsome and you look gorgeous in these pics! Aww I love this!! Dogs make the absolute best companions! Thanks, girl! And, yes – you so need it! Absolutely, any dog lover can appreciate it. Dogs are seriously the best! Loving hearing more about your sweet guy. OMG! isn’t Finely the cutest?! Absolutely adorable! You’re a girl after my own heart! I seriously don’t know what I would do without Dart and what I even did before we had him! He really does bring so much joy to our lives and I love giving him lots of extra love! Taylor’s shirt really is the cutest, and I love the fact that she donates part of the proceeds to shelters! I know, it’s an extra bonus that she donates part of the money to a local shelter. I’m all about helping the animals! Cute!! 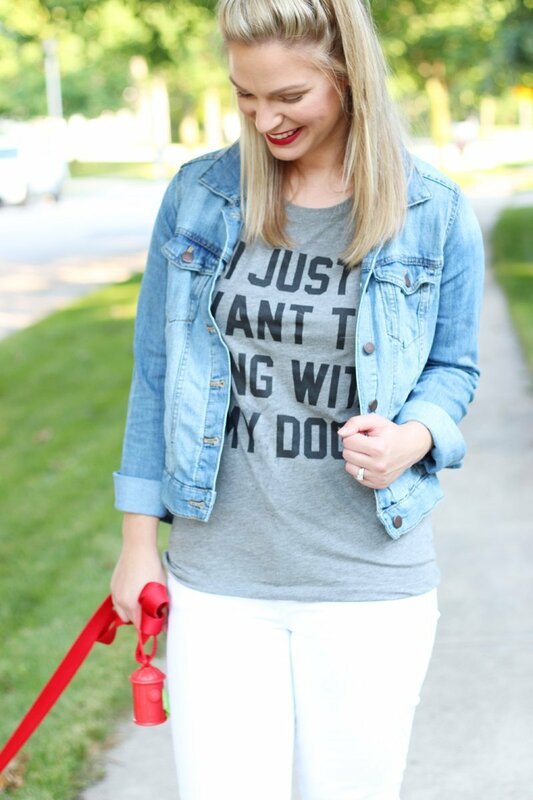 Love this outfit and love how much you love your dog! Thank you! I probably love him too much, lol. I love your cats! They are so stinkin’ cute. Aww your dog is so cute! Love the t-shirt too! Such a cute post!! What a handsome fella, too:) I might’ve chased around stray cats in Charleston last night because I miss my own so much! I would call my husband while gone to FaceTime with her, and I’m not ashamed at all:) Pets are definitely family members, no doubt! 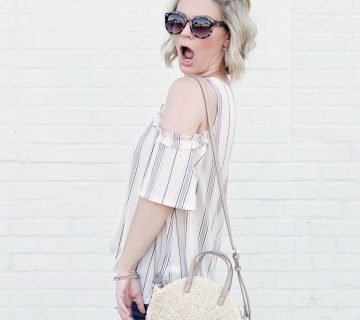 And that is such a cute top! Haha, that is so cute! I’m the same way when we’re on vacation – I always ask strangers if I can pet their dog, and I make my mom send photo updates of Finn just so I can see him. You and Finn are so cute! I love that Taylor donates some of the proceeds to local animal shelters. Thank you! And, I agree – probably the best part of purchasing the tee more than anything. Awe, I’m sure he’s loving having you home! I know how you feel, because I love hanging out with Finn too! I’m so glad you found your special dog, they add so much to your life. You’re looking pretty cute too! Thanks, mom! And, I know you love Finn almost as much as I do! It’s so true – they add so much happiness! You’re so sweet, thank you! I actually just got it recolored/fixed last week because my last dye job turned out a little too gold/yellow. Much happier with it now! Aww! Your whittle doggie is SO AWESOME!! We have a Jack Russell Terrier too! When I moved up here to Sydney to live with my Aunty (My Mom’s baby Sister) & Uncle, I was SO home sick that they said that we could adopt a dog! So we went to a local Animal Rescue Shelter! As as I saw Maggie I just knew that she was the dog for us! And she’s been in our family ever since! It’s the BEST decision that we’ve EVER made! hehe!!! That is such a sweet story! Adopting/rescuing a dog always is the way to go, I think they have the most love to give to us.